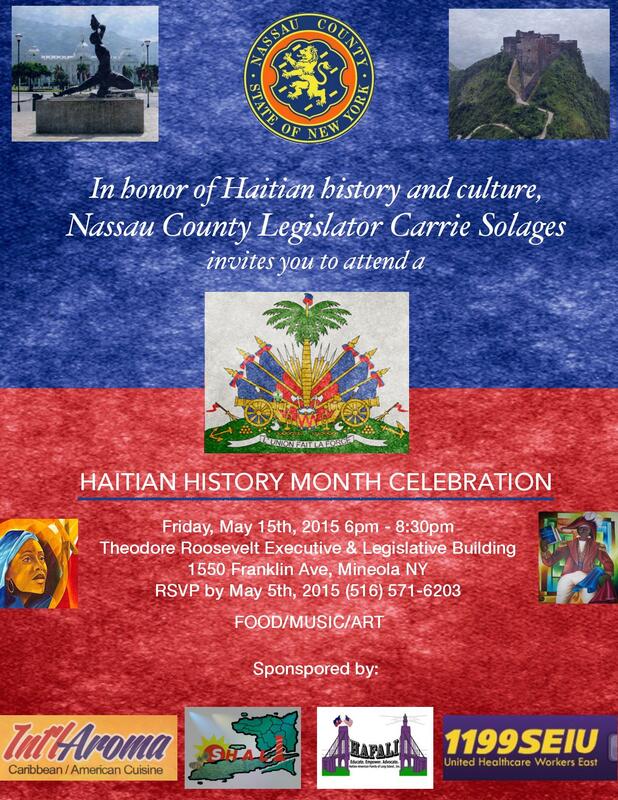 On Friday, May 15, 2015, Legislator Carrié Solages is hosting a Haitian History Month Celebration, in honor of Haitian history and culture. This free event will run from 6pm-8:30 pm and will be held at the Theodore Roosevelt Executive and Legislative Building, at 1550 Franklin Avenue, Mineola. Guests are welcome to attend to enjoy a program of Haitian food, music and art. RSVP is requested before the event to (516)571-6203.